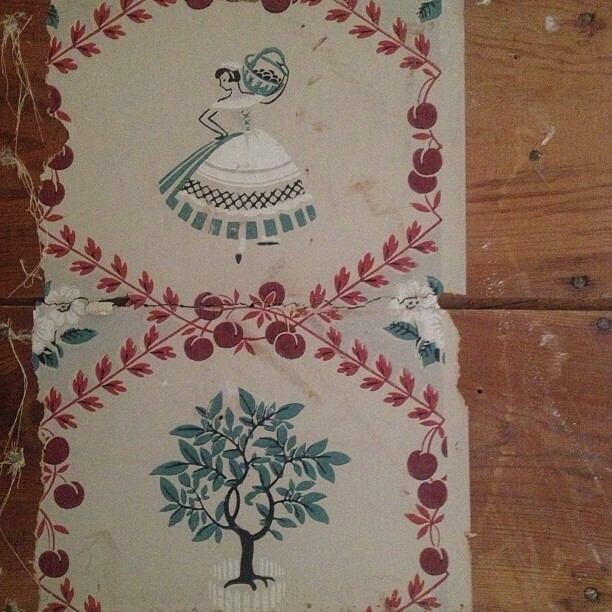 I know you all love things of old, so check out the adorable wallpaper we uncovered behind the walls in our kitchen. 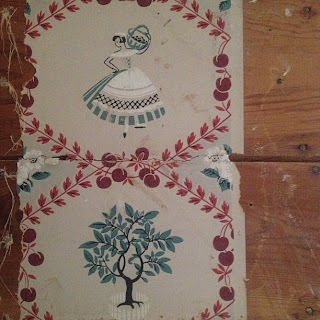 My house was built in 1937, so I imagine this is the original wallpaper, and surprisingly, once you pull away the sheet-rock, it seems our entire house is made of cedar. Who knew? Anyway, I'm just here to announce a few guest posts I've been hoarding in my inbox. 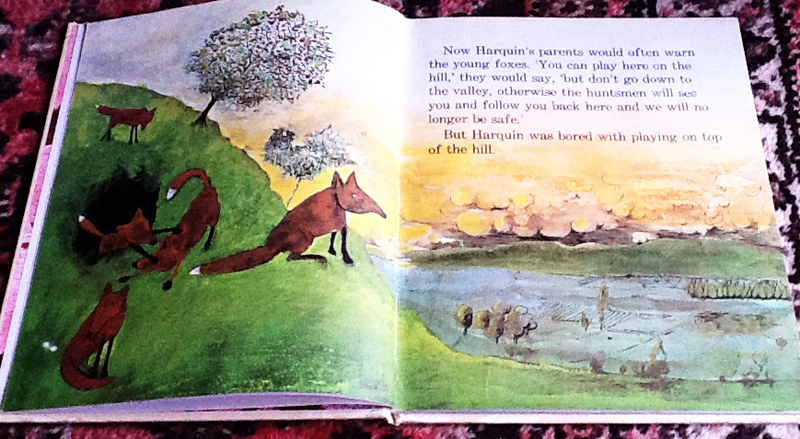 First, the lovely reader from Ireland Lucy Mitchell returns with this post of a John Burningham fave. This isn't out of print, thankfully, but it does have a different cover now. The copy pictured here, owned by my parents-in-law, is a 1967 edition. It’s a beauty. Each lush and wonderful illustration is better than the last and the peaceful, knowing expressions on the fox’s face are just perfect. Harquin is the only one of his siblings who ignores his father's sensible advice not to venture down to the valley below his home. Like Peter Rabbit before him, no warning is frightening enough. You will be shot and eaten! You will be torn apart by dogs! Nope, he has the optimism of youth. He is bored with playing on top of the hill. So he explores the valley, smells the flowers, steals the chickens, and is, inevitably, seen by a gamekeeper. As his father warned him, the people in the valley hadn't known there were foxes in the area, and never hunted there, but once Harquin was spotted that all changed. Not long after, the hunt is out in force. As luck would have it, they are no match for Harquin, who cunningly (he was a fox, after all) leads them astray, and, after a nail biting chase, leaves the local toffs stranded, wet, and hatless, blaming everyone but themselves. And peace is returned to the top of the hill. The typography and title page (isn't it beautiful!?!) of this edition is designed by Jan Pienkowski (fabulous!) and, listed under other publications by Burningham are the earlier titles; Borka, Trubloff, Humbert, Cannonball Simp and ABC. Also tantalizingly mentioned are The John Burningham wall friezes – Birdland, Storyland and Lionland, but sadly, I have yet to find them on sale anywhere.